Madrid is the perfect place to find a cool second-hand outfit, antique books, vintage home furnishings or retro toys. 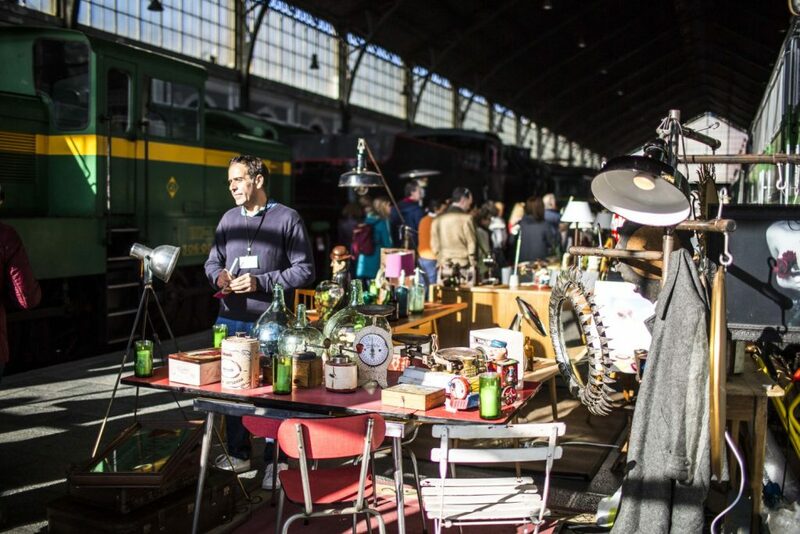 Here’s a list of the best flea markets, second-hand shops and thrift stores in Madrid where you can hunt for original and unique items. If it’s vintage electronics, photos, records or books you’re hunting for, try the unofficial market which takes place on Saturdays in spring/summer in the Plaza Dos de Mayo. Locals will set up stands in the plaza and feel free to barter for a better price on the goods. Keep in mind that some vendors only come here sporadically, so if you find something you truly can’t live without, it may be best to buy it there and then. Chances are, next time, you may not see the same stands set up. This unique vintage shop has a slogan saying ‘Made in the USA’, taking American clothing (second-hand, of course) and selling it by the kilogram. Already a popular concept at thrift stores in Paris, Flamingo Vintage Kilo has several branches around Spain, with many shops in Barcelona and two locations in Madrid’s Malasaña neighbourhood. Simply find your desired item and pay based on the weight. 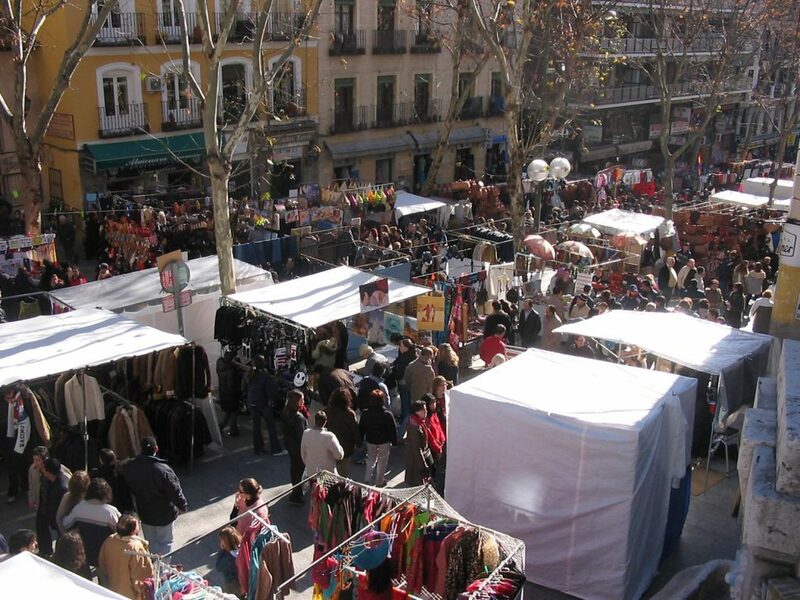 The biggest and most popular weekly flea market in Madrid, tourists and locals flock to the vibrant La Latina neighborhood on Sunday mornings to hunt for bargains. In fact, if you veer into the smaller streets off the main drag, you’ll discover a whole new side of the market, where locals set up their own stands or sheets covered with items they no longer want or use. Expect to find everything under the sun here – souvenirs, shoes, tools, electronics, furniture and more. The later you go, the busier the market becomes, so get there early to beat the crowds. Although it may feel like you’re walking into a circus tent thanks to this shop’s gaudy red and white curtain decor, La Mona Checa doesn’t sell circus items. Instead, you’ll find lots of second-hand denim, sweaters, trousers and skirts, as well as the occasional handbag or vintage jewellery piece too. If you want designer items but can’t pay designer prices, head to the 2nd Room – a carefully curated second-hand shop that carries one-of-a-kind pieces from high-end designers such as Dior, Louboutin, Gucci, Armani and more. The shop also carries exclusive pieces from designer F de Frank and soon plans to introduce its own line of special occasion dresses. Shopping here is a very personal experience as the stylish owner, Mariele Isidoro, is on hand to help you select that perfect piece. 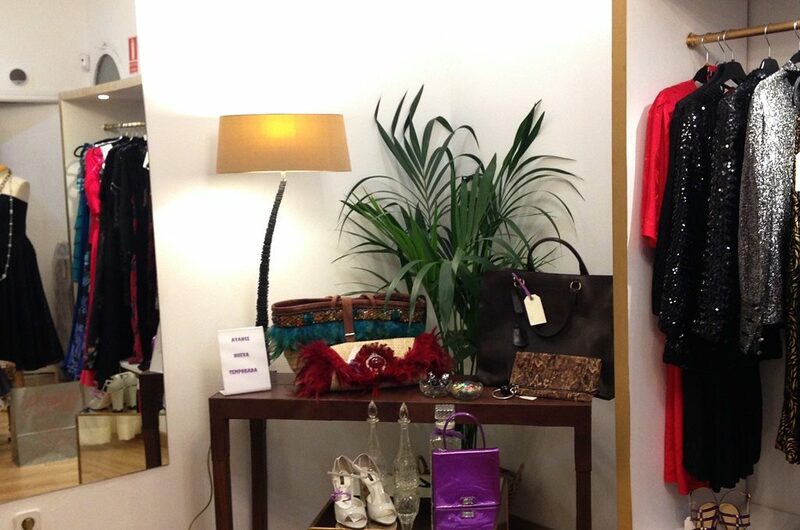 If you’re hoping to find that perfect vintage 80s t-shirt or a cool 60s handbag, look no further than Magpie Vintage. With an ample selection of accessories and clothing for men and women, it’s likely you’ll find whatever you need and more right here. It’s a great place to pick up a cool Halloween costumes, retro pieces or even just everyday wear.